Carry Pet Food Sp. z o.o. is a private label manufacturer specialized in production of high quality chews for dogs. We innovate new standards of chews from only the best hide. The company was established in 1992 in Weida/Thüringen in Germany and firstly was named “Weider Hundekauartikel”. 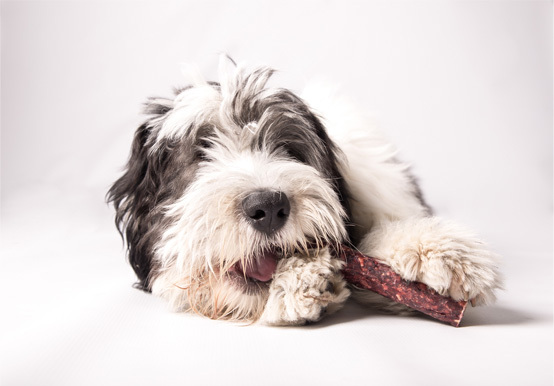 The manufacture was mainly focused on producing pressed bones from rawhide and since then has been recognised as specialist in chews production. In 2009 company changed name to “Carry Petfood GmbH” as a result of expanding to foreign markets, not only specialization in Germany. In 2013 the company has been moved to the northern of Poland to a new modern building with new facilities which could meet the highest quality standards. Because dog’s wellbeing is the most important for us, we cooperate strongly with local breeders and speciality shop. Thanks to that we can support our clients in palatability and quality tests. More than two times a year we check shopping preferences of dog owners to offer modern products which meet market needs.